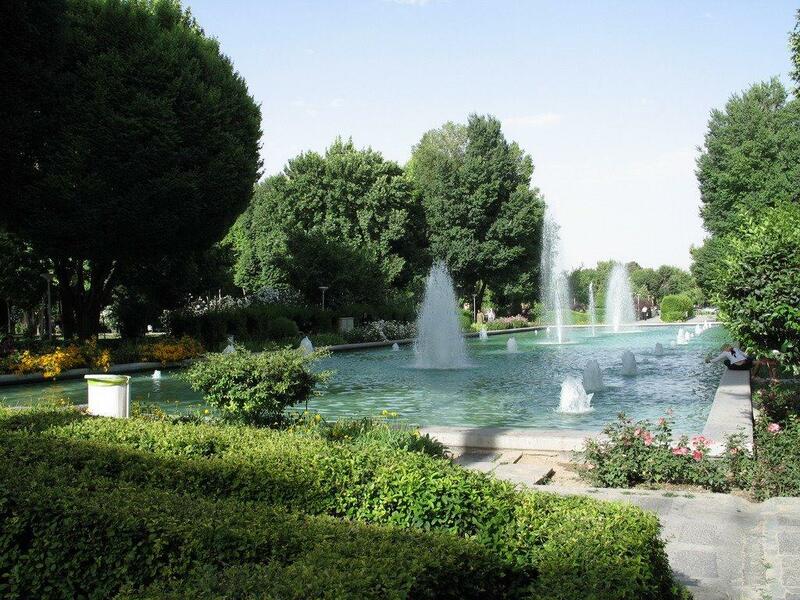 In a dry city which is located at the edge of desert, with long hot summer, Gardens and streams of waters, beautiful roses, shades of trees, sound of birds and nightingales play a great role in our lives. 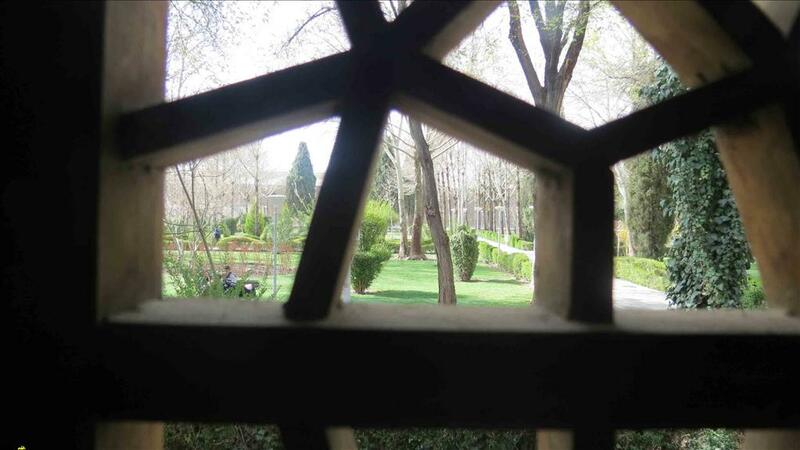 In great part of Iranian literature, especially poems, gardens are beautiful parts of our lives. In holy Quran, several verses of this holy book talks about paradise, full of green trees, pure and fresh streams of water, and other blessing of Almighty Allah is promised. 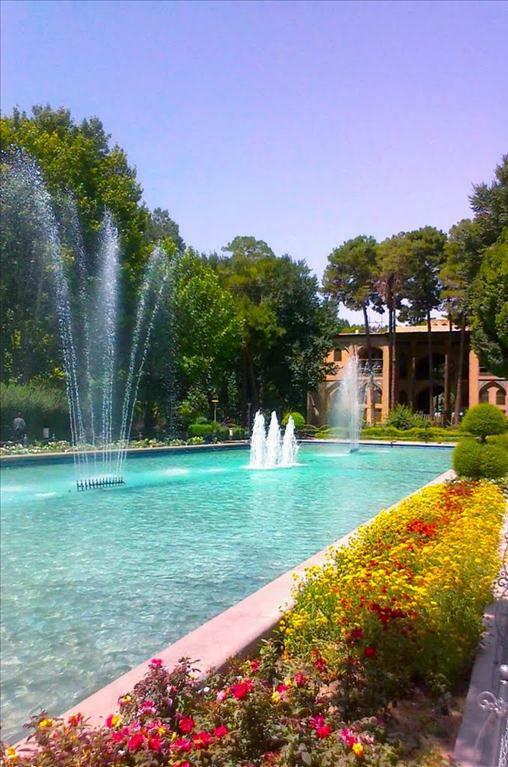 Gardens are a small symbol of the promised paradise. 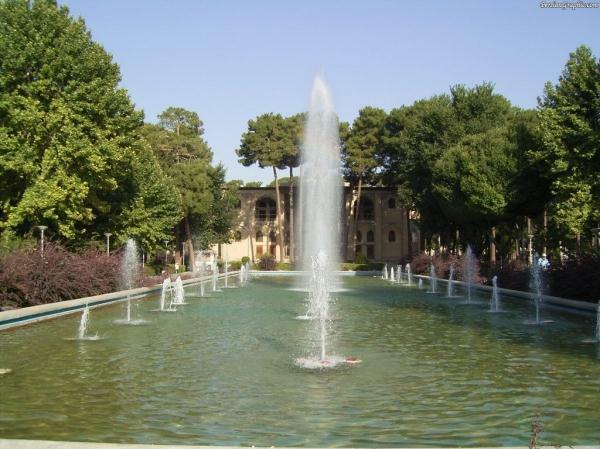 Thanks to Zayandeh rud River which has created a green ring in the neighborhood of desert. 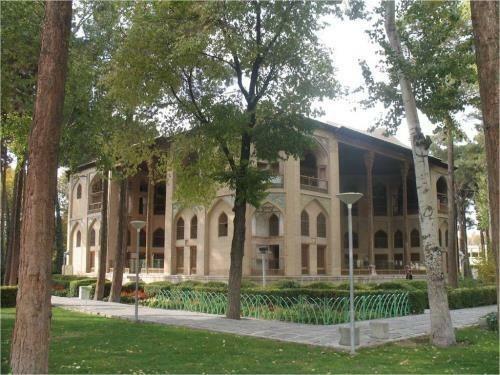 ich was built during Shah Suleiman Safavid time. 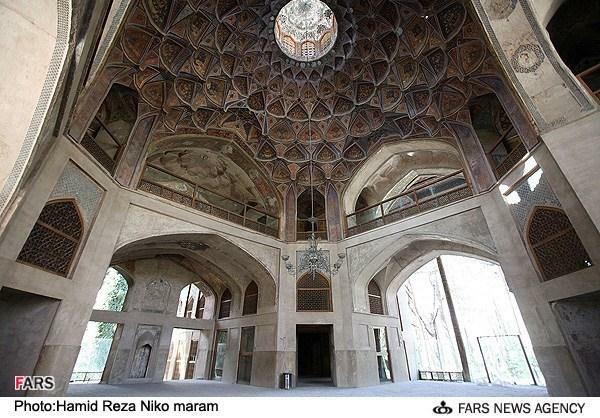 The palace experienced new styles of stucco work and stained glass and mirror works. 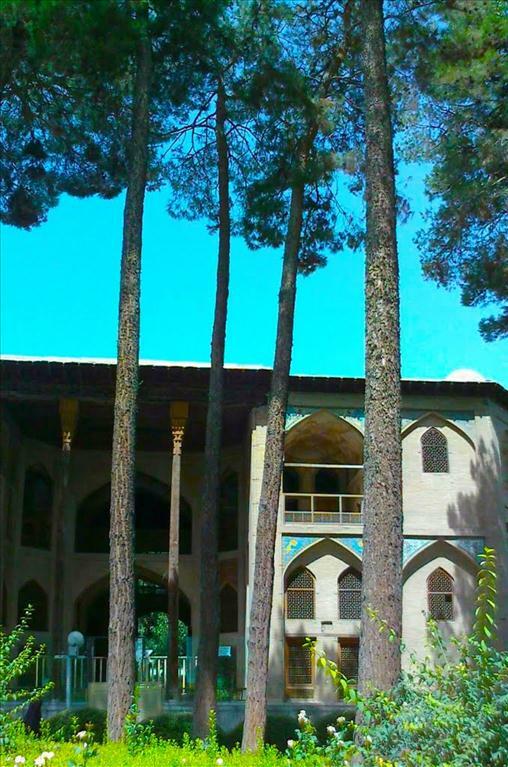 Hasht Behesht was renovated by Fathali Shah Qajar in the 19th century. 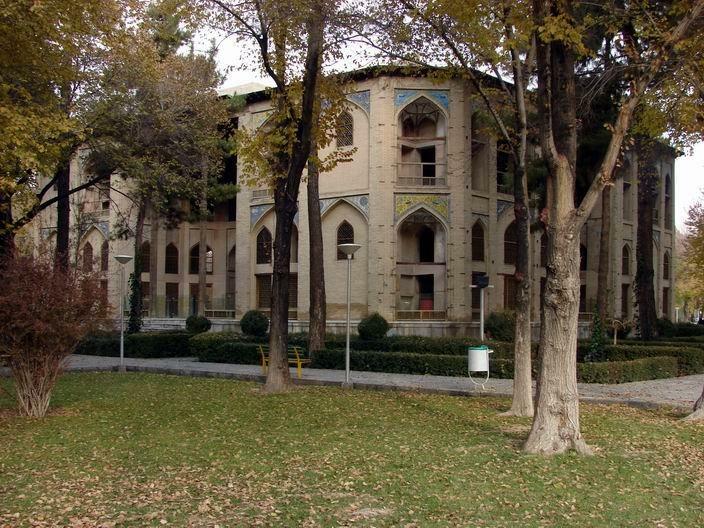 It was used as residential palace by Zele Sultan (Fathali Shah’s son). This useless man even did not maintain ornamentations of the palace. 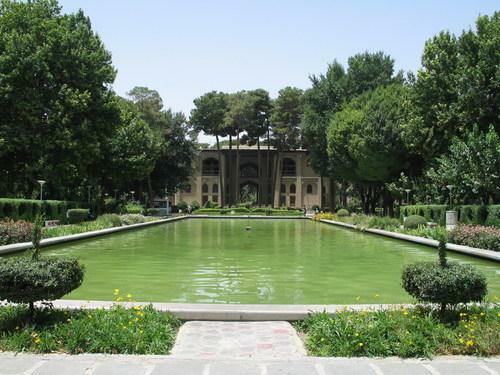 Chahar Taghi is a type of Sassanid and pre – Islamic architecture, but the style was beautifully developed and enlarged at the time of Safavid dynasty. The structure has octagonal shape and this kind of shape can be seen in various part of it. It is two storey palaces which have been seriously damaged. During hot summer days, circulation of air and wind, cooled by surrounding water streams and beautiful plane, and sycamore trees created nice comfortable environment for residents. The original palace was decorated with beautiful gilded mosaics, mirror work, plaster work, and various kinds of floral paintings on plaster. 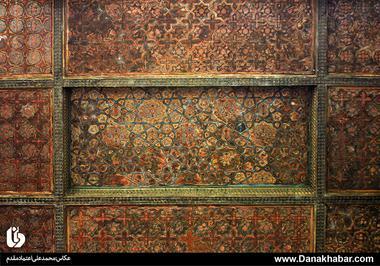 Especially ceiling of the palace was ornamented with variety of plastered pendent decorations. 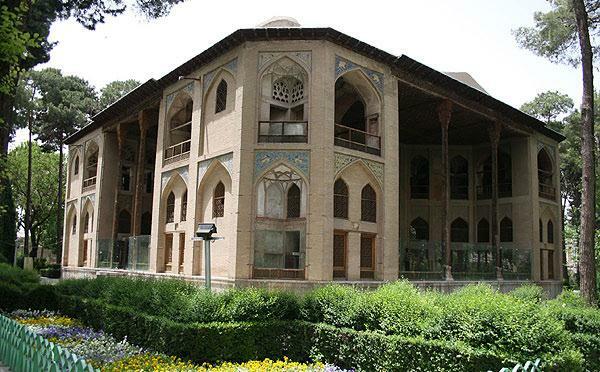 Unfortunately Zele Sultan, the crazy resident neglected valuable Safavid ornamentation and covered major parts of original decorations with plaster and redecorated with inartistic designs. For new layers of plasters they had to hammer old layer and then covered the ruined original layer (notched paintings) in order to cover new layer of decoration. The new plaster layer stuck to the walls. The palace was repaired recently. New layers of Zele Sultan time were removed. The original layer which was notched and ruined was repaired. 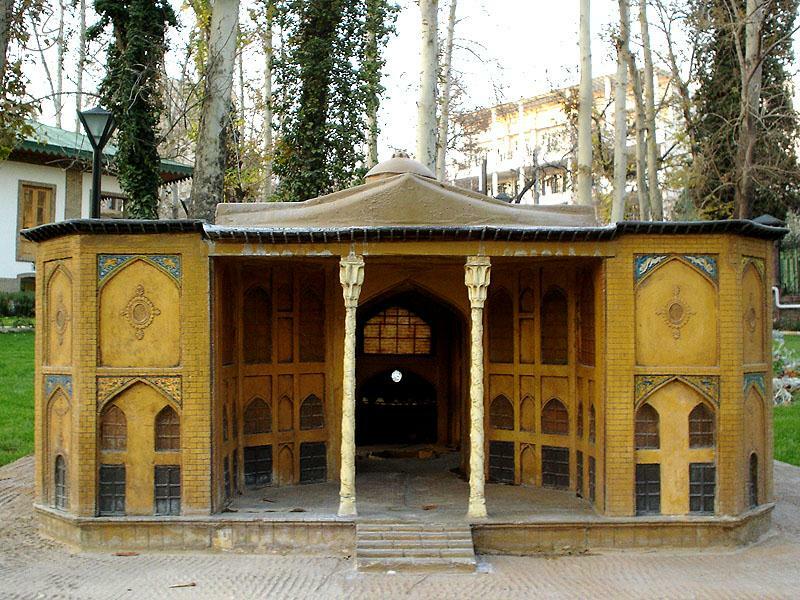 Hasht Behesht is a unique garden pavilion. 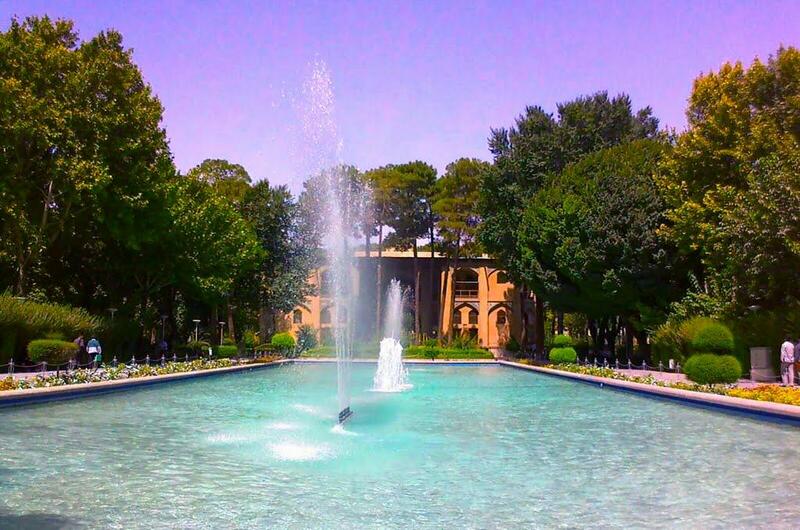 Today the palace’s garden is converted into a public park; therefore it has lost its original features and shapes.